The MD of Sigma UK has expressed concern that the newly developed Lytro technology, which is capable of focusing after a shot has been taken, could potentially damage the interchangeable lens industry. Lytro's tech works by capturing the "light field", or all of the rays of light in a scene. It means that that the focus point of an image can be altered after the shot has been taken. So far, the tech has only been implemented within Lytro's own small camera, which packs an 8x optical zoom and f/2.0 lens. However, it would seem like a good move for Lytro to license or sell the technology to another manufacturer. It has been previously rumoured that Apple was interested in using it for the iPhone 4S. Graham Armitage, MD of Sigma UK, said however, "It could really throw the cat among the pigeons couldn't it?" "You have to question whether anybody would need interchangeable lens cameras." Sigma manufactures its own cameras and lenses, as well as a wide-range of third party optics for other brands, including Nikon, Canon and Sony. 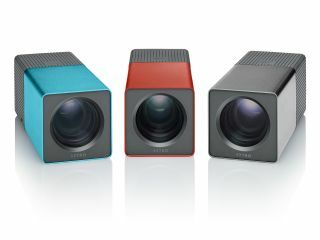 Lytro cameras are still not available to purchase in the UK, while the camera requires a specific desktop application in order to view the pictures.